The U.S. economy finished 2018 with a thud. 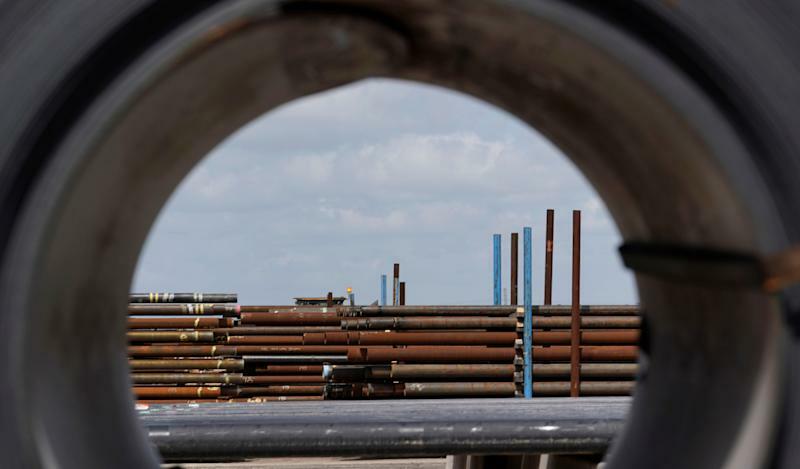 A series of surveys about U.S. economic activity in December disappointed, capping the stock market’s worst year since the crisis on a downbeat note. In the last month, manufacturing surveys from the New York, Philadelphia, Richmond, and Dallas Federal Reserve banks have all disappointed, while The Conference Board’s reading on consumer confidence in December also missed expectations. And while 2018 is shaping up to be the best year for GDP growth in the U.S. in a decade, the final economic reports of the year indicate what the stock market has been telling investors over the last month — 2019 will be worse for the economy. On December 26, the Richmond Fed’s manufacturing reading for December dropped into negative figures for the first time since 2016. The index fell to -8 in December from 14 in November, the largest month-on-month decline in the history of the survey and the biggest miss relative to expectations since at least 2005, according to Bespoke Investment Group. Readings in positive territory indicate more respondents see economic activity increasing; negative readings mean a larger percentage of respondents saw a decrease from the prior month. Notably, the new shipments index for the Richmond Fed’s report was at its lowest level since April 2009 in December while the index for local business conditions registered its lowest reading on record at -25. On December 27, The Conference Board’s consumer confidence index for December hit a six-month low and the 8.3-point drop in the headline reading from November was the largest month-on-month decline in three years. The report’s gauge on consumer expectations for the economy also fell sharply in December, hitting a two-year low and indicating that though consumers have appeared broadly insulated from the economic concerns being expressed in financial markets, some spillover may be occurring. “While consumers are ending 2018 on a strong note, back-to-back declines in Expectations are reflective of an increasing concern that the pace of economic growth will begin moderating in the first half of 2019,” said Lynn Franco, senior director of economic indicators at The Conference Board. And on Monday, the Dallas Fed’s reading on business activity in December plunged to -5.1, a sharp drop from November’s reading of 17.6 and the biggest monthly drop since the crisis. This was the lowest overall reading for the Dallas Fed’s report since the middle of 2016, while the overall company outlook also hit a two-and-a-half year low. The Dallas Fed’s reading often follows the price of oil, which has dropped over 10% in December and is down over 30% since October. Has the market already priced it in? On Thursday, the closely-watched Institute for Supply Management’s reading on manufacturing activity in December will be released, with expectations that this reading should continue to show expanding activity in the sector. Neil Dutta, an economist at Renaissance Macro, said last week that his model for the ISM data have been running above forecast for the last 18 months. The decline in the stock market and the rally in Treasury yields — both indicating a defensiveness among investors and a downgraded view of the real economy — suggest a drop in this data could be coming. In other words, the market has been pricing in the exact data from the business sector that we have started to see in recent weeks. Further market declines on mediocre data would take data that is worse than just mediocre. Downbeat survey data from the business sector is also in contrast to data about consumers that shows spending remained solid through the holiday season. Data from Mastercard Spending Pulse showed a 5.1% increase in spending from November 1 through Christmas Eve with data from the NRF showing annual gains of between 4%-5% for the holiday period. Financial markets are not interested in what is happening or now or has taken place in the recent past, but what the future holds. Since November 1, the XRT ETF that tracks the retail sector has lost more than 15%. Shares of Target (TGT) are down over 20% in that period, while Kohl’s (KSS) has dropped 15%, and Walmart (WMT) is down 9%. Investors are looking past strong data about consumer spending during the holidays and bracing for leaner times ahead. Lean times that some economic data has started telling investors is already here.